“I am very happy at the end of the day. 199 runs is not easy to get but yeah missing out on a double hundred obviously hurts. But I will go back home happy that I got a 199 crucial runs for my team,” the talented opener added. 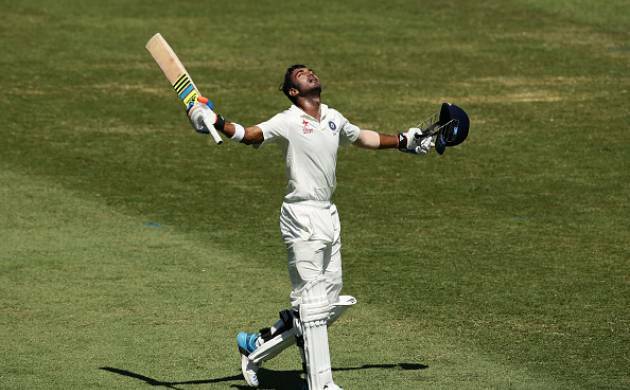 It was the pressure of trying to reach a coveted milestone that became his undoing but KL Rahul is happy for the fact that it is not everyday that one gets to score 199 in a Test match. “It was a good day till I got out. I was looking to play positively, everything was going my way. I was hitting the ball off the middle and the chances that I took came off. Everything was looking good but just unfortunate that the pressure of getting a double hundred got to me,” Rahul said at the post-day press conference. Asked about his current state of mind, Rahul admitted that there is some amount of sadness. “Obviously, right now it is me missing out on the 200 took some time to sink in. I was really disappointed. 200 for a batsman is a big landmark and I have never been somebody, who has chased landmarks but getting a 200 will always be a proud moment for a batsman. I am gutted that I missed out. “But like I mentioned, it has been a tough couple of months for me, a few injuries, and I just have to be grateful that I wen out there and got a 100 under my name,” the soft-spoken Mangalore lad said. Talking about his strategy on the day, Rahul said: “Look it is very important for us. If we have to make a match out of this, to get a good lead and the wicket is kind of playing really good so far. Our aim was to bat five or six sessions and get as many runs as we can. Skipper Virat Kohli’s joy at him reaching milestones was visible to one and all. “Everbody enjoys each other’s success. We are always pushing each other to get better on the field and off the field, helping each other out in the nets or in the gym. That’s the most important thing. That’s why I think we are the No. 1 team in the world.